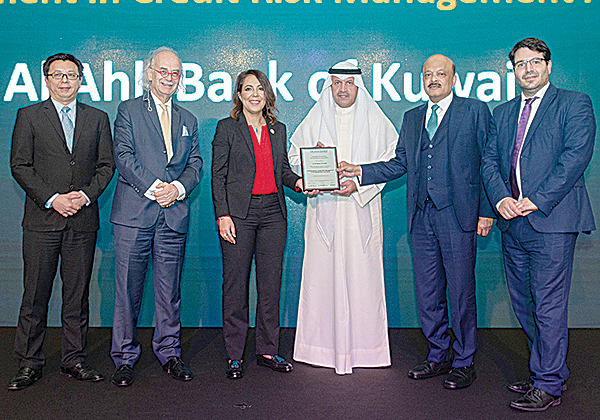 KUWAIT: Al-Ahli Bank of Kuwait (ABK), yesterday announced its financial results for the fiscal year ended 31st December, 2018. The Bank delivered a strong set of results with a net profit of KD 42.1 million, up 18.1 percent year-on-year. Operating Income was KD 168.8 million, up 7.5 percent over last year, while operating profit was up 6 percent to KD 103.7 million. Total assets reached KD 4.5 billion, up 4.3 percent from 2017, and total Shareholders’ Equity increased by KD 12.8 million, reaching KD 585 million. Earnings per share increased to 26 fils, up by 4 fils. The ABK Board of Directors have proposed a distribution of 14 fils per share cash dividend compared to 12 fils in 2017, subject to the approval of ABK’s General Assembly meeting.